Reading is a passion for many of us and this year was no different. I’ve been swept away to distant and unique lands with Lev Grossman’s wonderful Magicians Trilogy; enchanted by the events in The Night Circus; and educated by Joseph Boyden’s 2014 Canada Reads winner The Orenda. 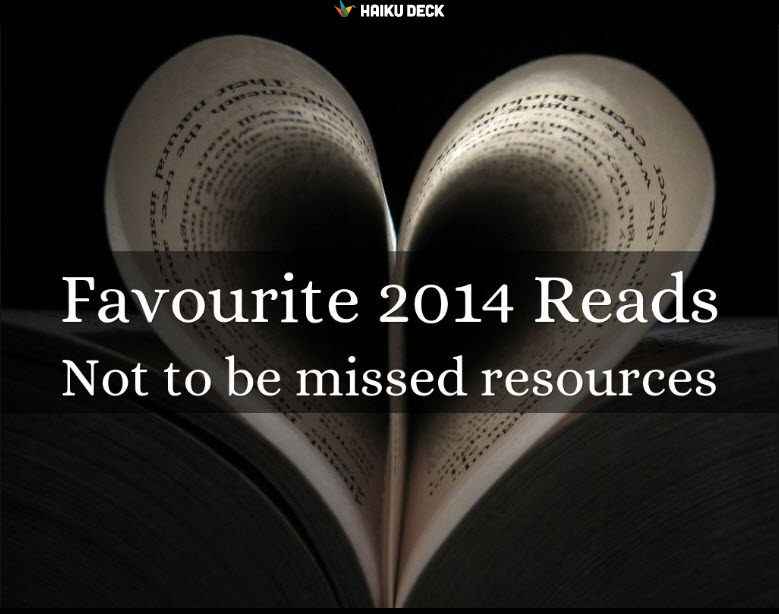 It’s the schooling aspect that this blog will focus on – the books that most impacted my thinking and development in 2014. With so many great works this year, this is by no means intended to be an exhaustive list, just those that I’ve read, executed on, re-visited and referred to others (in some instances on numerous occasions). The six titles embrace not only the business world, but opportunities for personal growth in addition to building skills for business applications. Not all of the titles were released in late 2013 or 2014. Some have been business standards for awhile and I found myself referring to them this year to help guide clients in their search for answers. 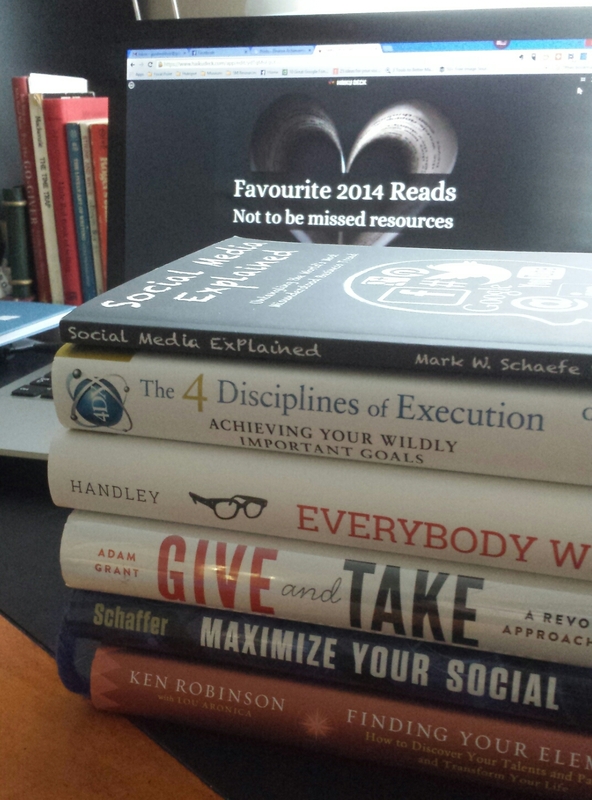 So here in release order are my 2014 reading resources that I’d highly recommend to anyone (no affiliate links). My clients are not large organizations, but struggle with very similar issues. A not for profit leader that I consult with has found great results when she has implemented the formula with her team. They’ve grown in size and are well on their way to making a major impact on our culture here in Ontario. As Henry Ford said: “Coming together is a beginning; keeping together is progress; working together is success”. Grant’s look at “A Revolutionary approach to success”, is indeed truly that. We’ve all heard Leo Durocher’s famous quote “Nice Guys Finish Last”, then along comes Grant to illustrate that the quote is not true. Throughout the book, he gives clear illustrations of not only doing the right thing, but what on occasion looks like business suicide. Grant defines the three personalities the “giver”, the “taker” and the “matcher”. In today’s collaborative environment, it helps to understand who you are and who you’re dealing with. A gifted researcher and storyteller, the book is not only informative but highly entertaining as well. It is well laid out and I particularly liked the actionable items included at the end. No matter where you fall on the spectrum, this book provides the guidance and resources to help you shift, if even slightly, in your orientation to a “giver” style. An important read, if only once for everyone. I worked with a business owner that would shake his head when I’d recommend a WordPress site for a small business so that they could control their own website, be coached and encouraged to make minor changes, all updates, and write their own blogs. He was certain that they’d never buy from us again. Instead we increased sales 4x over some of our other clients, because they called on our expertise for the bigger items, more consultation on strategic and integrated marketing initiatives. We gave them, with no additional cost, the ability to be independent and agile, in return, they trusted that we indeed had their clients and their best interests at heart. 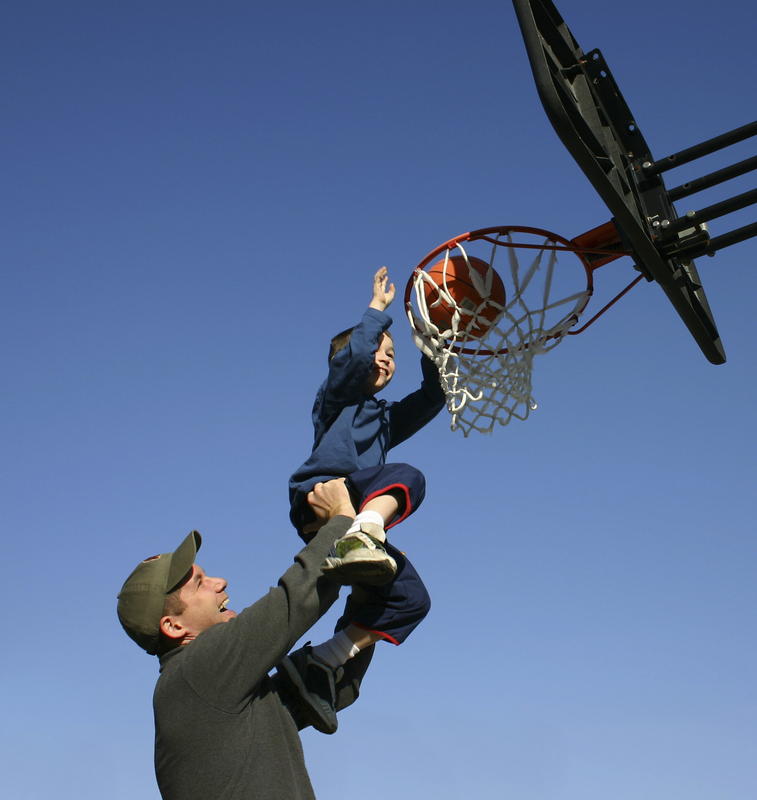 Give and Take illustrates the advantages of a “giver” mentality. I first learned of the work of Sir Ken Robinson from a Canadian National radio program Q, when he was in shortly after the release of “The Element”. The Element was about understanding “where natural aptitude meets personal passion”. The radio program lead me to his acclaimed Ted Talk: How schools kill creativity (located below), along with 30 million other views. I was hooked on his work and went back to read “Out of Our Minds” on creativity. In 2013, the authors took their work a step further and released a reading resource to help you learn “How to Discover your Talents and Passions and Transform Your Life”. It is a refreshing read and a guide to help you discover where your aptitude and passion intersect. 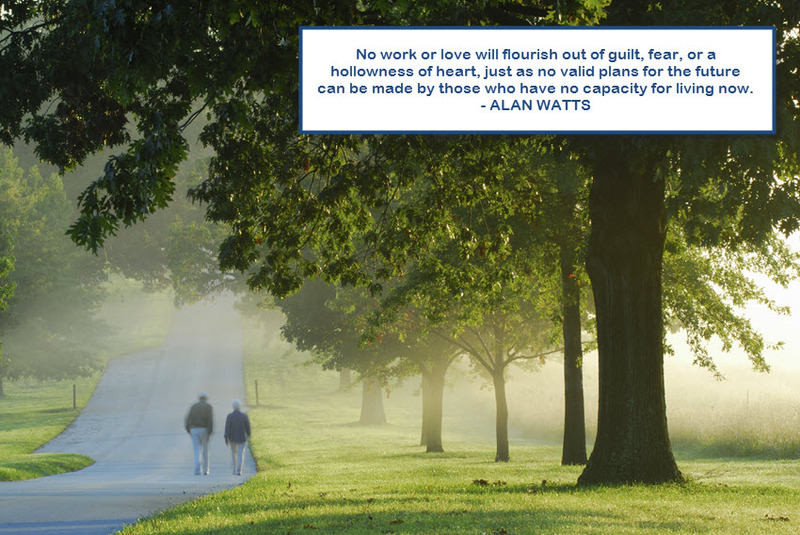 Since hearing Joseph Campbell’s famous quote “Follow your bliss and the universe will open doors where there were only walls”, many have been on the pursuit of finding their passion. But it is not that easy, as we occasionally mistake what we’re good at for what we should be doing. But as The Element reminded us, you should love it as well. After doing the circuit, Robinson notes that he was frequently asked how one could find their element. Thus this sequel, companion. It is inspiring and easy to read. Filled with wit and intelligence, it is a great read that you’ll find yourself returning to time and again for the practical guidance, resources and stories that the reader can relate to. If you are seeking, I hope you find some answers here to help you on the right path. Billed as a “one-stop guide to building a social media strategy for marketing and business success”, Maximize Your Social lives up to it’s billing. Schaffer has provided a step by step guide to building a social media strategy. In the next few chapters he relays solid tactics to employ to achieve your goals. Having said this, some of the tactics are already slightly dated due to the change in platforms. However, the underlying principles are sound and it’s one of the strengths of his work. Schaffer was a successful business professional before becoming a social media writer and teacher (a common thread in the authors and specialists I follow). The work demonstrates best business practices in networking, client service sales and marketing. The fundamentals are easy to find and then applied to the social media universe, no matter the platform. I’ve liked and followed Neal’s work and presentations for a while and would encourage you to do so as well. In addition, the book covers the analysis you’ll need to ensure that your strategy and tactics are on target. As Winston Churchill was quoted as saying “However beautiful the strategy, you should occasionally look at the results”. With this book, you’re given all the guidance you’ll need to cover it all. (Note, I received my copy of Neal’s book as a gift from Hootsuite in a random draw). One of the most common issues I see my clients struggling with (and in this, size does not matter) is understanding social media. It seems to be such a common issue that it drove Schaefer to write Social Media Explained. Unlike most other books in the social media spectrum, it does not focus on the “how to’s” of any one or multiple social media platforms, but focuses on the business trend as a whole and how business can successfully adapt it to their communication, networking, marketing, service and sales strategies. The book is divided into two segments, the first is the “five most important things you need to know”. Secondly, the “five most important questions you’ll face”. Schaefer creates a modular exploration of the “five foundational strategies of social media marketing“, that take the reader step by step into clarifying and demystifying social. A part of that is advising the reader that there are three key elements to any successful social media effort. They are: Targeted Connections + Meaningful Content + Authentic Helpfulness = Business Benefits. After which he tackles the five most common questions/objections to social that hold companies back from success. Issues like, how to measure social media success, how much to invest in advertising on social platforms vs traditional sources and more. I’d recommend (and have) this work to anyone interested in applying social to their business. Especially to those that feel they have to be there, but haven’t the foggiest idea. This work will help you understand why you’d want to invest and apply resources to develop a sound social media strategy for your entire organization. As Albert Einstein once noted; “Peace cannot be kept by force; it can only be achieved by understanding“. Develop your social media skill to bring peace to your client, staff and business relationships. I recently touched on this work in my blog Struggling with Content Creation, so won’t spend much time on it here. Everybody Writes; is an essential go to guide for anyone looking to improve their writing abilities. It’s never been easier to share your thoughts and feelings, or to share your knowledge with a much larger audience than before. Because of the advances in technology, it’s become harder though to stand out in the crowd. In Content Rules, with C.C. Chapman, Handley illustrated the need to create good content that serves your audiences’ purpose. In Everybody Writes, Handley takes the reader deeper into the how to(s) of successfully writing good content. It’s a step by step guide for the budding or experienced author to get the most from your efforts. The book debunks some traditional rules that may be holding you back from sharing your ideas. At it’s best, it is an encouraging friend that you can return to time and again to dig deeper, take the next step and know that it’s alright, you indeed can write. The book promises to be “Your Go-To Guide to Creating Ridiculously Good Content” and it delivers. As Benjamin Franklin shared; “Either write something worth reading or do something worth reading about“. With this guide book by your side, you just might do both. Ken Robinson’s Ted Talk, How school kills creativity 2006. The Tao of Twitter, Revised. by Mark Schaefer. The best resource I’ve seen for effectively using Twitter. The crowd has spoken and once again the most popular social media posts were about leadership and resources. From a look at some “Free SEO” resources to a well written and timely review of what your agency should be doing for you with your social media efforts. Without any further delay; here are the five top social media stories that you might have missed last week. It’s a popular topic with those in leadership roles and those aspiring to be effective leaders. This topic posted in the HBR Blog is getting a lot of attention recently. After all, who really wants to be the “pain in the A$$” boss that employees just don’t like. However, being too nice can have a major impact on your organization as well. I always appreciated seniors that would fall into the “hard but fair” category, how about you? Creating really effective visual content has never been easier (if you take a little bit of time to play and watch some very useful videos), but finding the right tool to help you with the smaller graphic tasks can be confusing with so many tools available. That’s why this post Social Media Examiner, like struck a cord with readers. Facebook, the platform that everyone loves to hate but can’t help but continue to pay attention to. With all of the changes and their impact on the newsfeed and your ability to connect with your communities, it can be hard and frustrating. Yet, finding useful resources can make the journey friendlier and more effective. 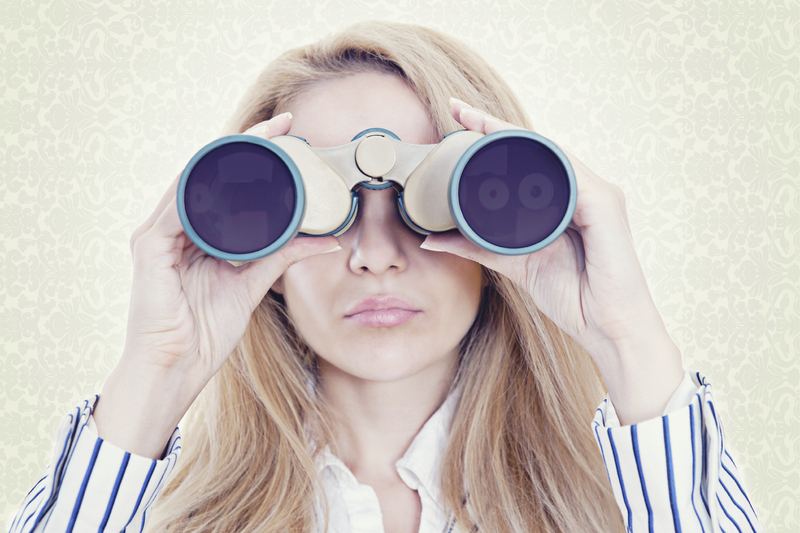 This week I saw a very useful post on the MarketingProfs blog. Search Engine Optimization is an ongoing and ever evolving requirement for any size business. It’s impossible to stay relevant with a “set it and forget it” mentality. I always encourage clients to do a SEO Audit at least annually, but the biggest concern is budget. If you feel you don’t have the cash, than it’s imperative that you exchange some time to gain more knowledge. These SEO resources that I came across on the Kissmetrics blog, may just be the ticket to resolve your concerns. Let’s not confuse things, participating in an effective social media strategy can be hard work, time consuming and a little bit daunting. What to talk about, where to post and when are the stuff that can keep you awake at night. It might be easier to abdicate your responsibility to that agency/marketing consulting firm that said they’d just do it for you. The issue with that is simply that these are your current and future customers that you are trying to build and develop a lasting relationship with. The firm may curate and post on your behalf, but are they qualified to converse with your customers with the same level of understanding, empathy and commitment that you are. In my experience, the best results have always come from a collaborative approach to social and community management. That’s why it was so refreshing to see this post from the Arcompany. I hope that you find the information compiled here of great value to you. If you have any questions, drop a note in the comment section or fire off an email, I’d be thrilled to hear from you. From all indications, followers of our social channels were most interested about resources, leadership and motivation (specifically what motivates someone to make a buying decision). With the push to create and use more content in our marketing efforts, it is understandable that you where looking for quality information around tools and resources to help you connect more meaningfully with your audiences, while easing the workload through the effective use of tools. This is the first in an ongoing weekly series that will summarize the stories that you felt had the most interest and/or are of the greatest use to you in your day to day activities. The series will focus on original content from Diverse (if warranted by reader selection) as well as curated content from our favorite and proven resources. As a small business ourselves, we understand the challenges (specifically the time challenges) that you face. For our own efforts, we are constantly on the lookout for materials that make the work lighter and the information more meaningful for our audience. Our goal for this segment is to give you a spot to find useful information on a weekly basis that time may have not allowed you to find on your own. After all, we can all use a hand up! Three of the top five posts can be categorized as resource oriented; posts that look to provide useful information. Two of the posts where information based; one about the top marketing acronyms that we should all be aware of and the second about common grammar errors noted on a lot of digital content. The third is about tools that can help you with your content marketing efforts. A comprehensive list of marketing terms from A – Z. Worth having at hand, especially if your agency folks like to roll them out in meetings and documents. The lesson of this post, “Even the most valuable content will be dismissed if it’s riddled with errors”. You’ve likely heard of Storify, but have you discovered Thinglink and Qzzr. They look like very interesting tools to add to your kit, providing you with unique ways to stimulate engagement. Bernadette is the author of “Difference” and a talented marketer. Her short and compelling posts always hit the mark. 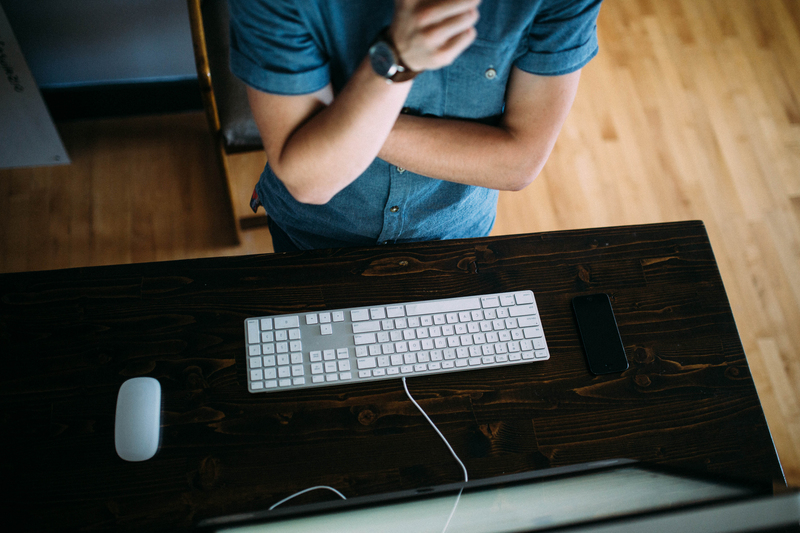 What motivates your buyers to make the decisions they do? We’ve all had to have them, difficult conversations. You’ve taken the time to craft your arguments based on logic. However, it may not go as well as you’d hope. This excellent post from Susan David, provides great tips to help you communicate clearly and with empathy. Should you have Goals or Systems? In December, James Clear wrote a post for Entrepreneur magazine entitled “Forget Setting Goals, Focus on This Instead“. The “this” of the piece was creating systems. It was a thought provoking piece, especially given the number of posts exuding the benefits of goals setting and planning for the year to come. A lot of the post made great sense, but lead me to ask should you have goals or systems, and are they mutually exclusive. “If you’re a writer, your goal is to write a book. Your system is your writing schedule that you follow each week”. And it’s true that you need good habits (or systems) to help you stay focused on task. In his post he asked that if you focused on the habit, would you achieve your ultimate goal. It of course presumes that you have an end or a sign post in mind at the outset. The only area that didn’t sit quite as well with me was the assertion, that having a goal inhibited your ability to enjoy the process; or as Clear notes “goals reduce your current happiness”. Now it’s true that too many people penalize themselves by believing that they have to achieve a goal before they can be happy, or as Clear rightly echos “Once I reach my goal, then I’ll be happy. Once I achieve my goal, then I’ll be successful.” Fortunately, we are learning so much more from the social sciences on being mindful that we can lay that “puritan work ethic” to rest and allow ourselves to enjoy the journey. After all, we’re all likely familiar with quotes like Greg Anderson’s ” Focus on the journey, not the destination. Joy is found not in finishing an activity but in doing it”; or Jim Rohn’s “You can not change your destination overnight, but you can change your direction”. It’s been my experience that building systems (habits) to help you reach a destination is a sure way to experience happiness and success. We all get great enjoyment from the hit of dopamine we receive for checking off a task from our to-do lists. Those destinations can be our ultimate task or the benchmarks along the way. For me our goals are not commandments, set in stone without the ability to rewrite them as situations or opportunities arise, but are merely signposts to help us know if we are on the right track to the destination we initially envisioned. When we do stray off track, it also provides us with the opportunity to know if the original destination was the right one in the first place, if not, then we can start to alter that destination. Without a destination in mind, how will we ever know if we’re heading in the right direction. Clear notes that having that big goal can add so much stress, but it’s been my experience that if you break the big goal into it’s component parts, you reduce the stress and get to enjoy the process more by setting up mini-wins along the way. My concern with the tenor of his piece goes to the fact that Stephen Covey so elegantly noted (paraphrased) “We can build a ladder, and climb the rungs, only to find that we’ve got it balanced against the wrong wall”. It’s so important to know where you are going. 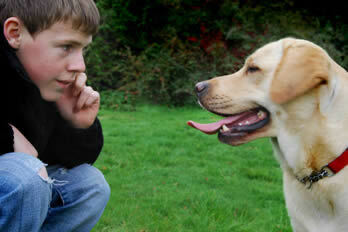 We both agree that goal setting is an important element of success. Clear notes at the end of the piece “that goals are good for planning your progress, and systems are good for making progress”, and without a doubt a goal that doesn’t have a plan (process) attached to it is just a dream. I see this so often with clients, the one or another dilemma, do you focus on goals or systems. All to frequently, they have an end goal in mind, but haven’t built effective processes or habits to implement the plan, or they focus to much on the “How” and don’t have any idea of “Why” they are doing what they are doing, thus missing out on the passion and ultimate destination. A great work to refer to from a social media plan and execution regard is Neal Schaffer’s “Maximize Your Social” [review coming] and “The 4 Disciplines of Execution” by Chris McChesney, Sean Covey and Jim Huling. I’d encourage you to read the initial post and share your best practices to execute, monitor and reach your goals.